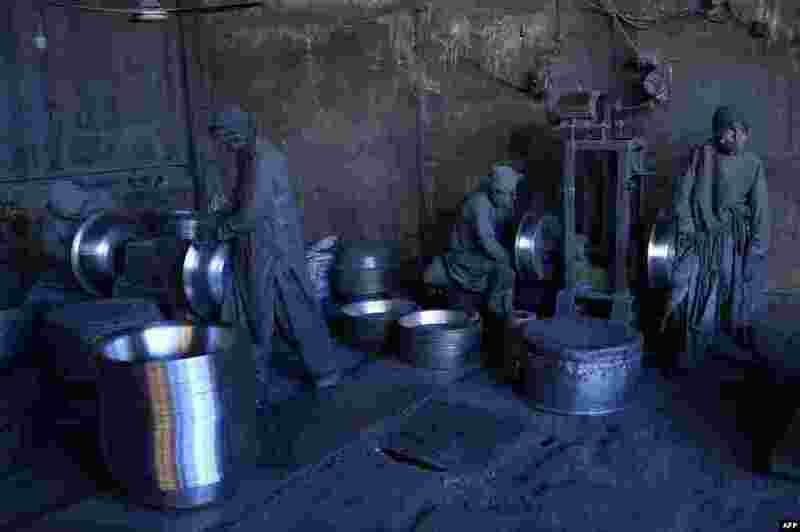 1 Afghan laborers polish metal pots at an aluminum factory in Herat. 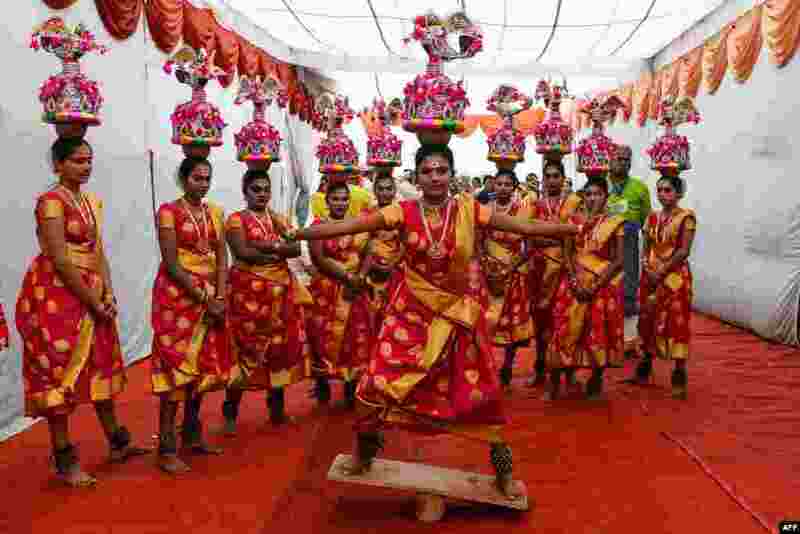 2 Traditional dancers from southern state Tamil Nadu perform during a dress rehearsal for the upcoming Republic Day parade in New Delhi. 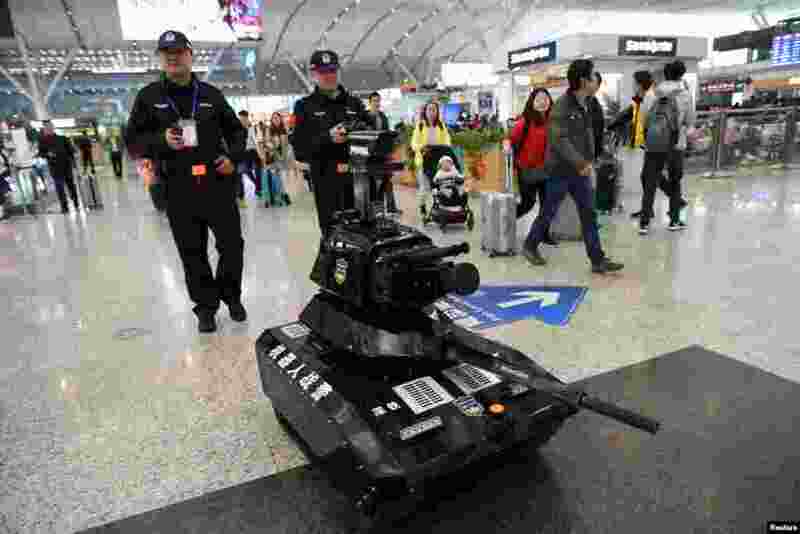 3 Police officers operate a security robot to patrol inside a railway station as the annual Spring Festival travel rush starts ahead of the Chinese Lunar New Year, in Shenzhen, Guangdong province, China, Jan. 21, 2019. 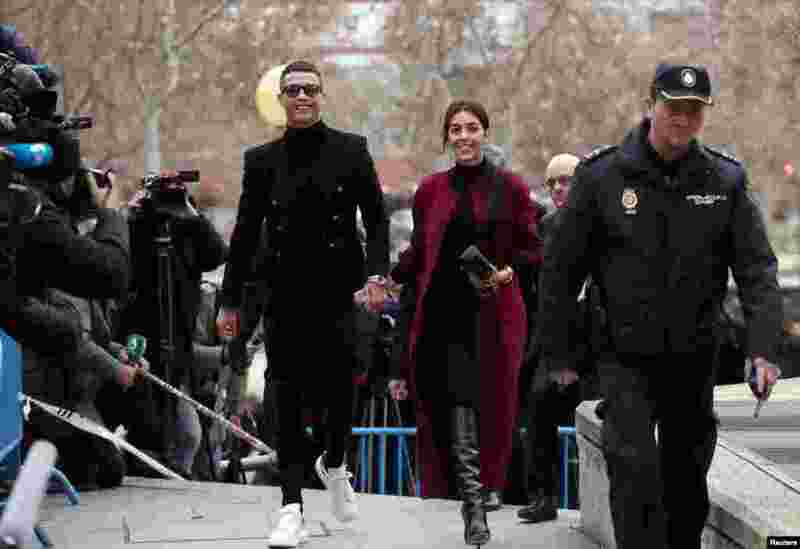 4 Portugal's soccer player Cristiano Ronaldo arrives with his girlfriend Georgina Rodriguez to appear in court on a trial for tax fraud in Madrid, Spain.